Active Health: De-Stress formula is the perfect way to recharge your mental batteries, brighten your mood, get more restful sleep and rebalance yourself in today's hectic 24/7 high octane world. Our Active Health: De-Stress formula combines 3 potent mental mood enhancers to help provide more restful sleep, restore mental balance, improve overall mood and bearing, combat mild depression and help to relax. Bold claims indeed, but clinical evidence and thousands of years worth of traditional and anecdotal evidence shows that these 3 ingredients are highly effective for restoring internal mental balance and strength. 5-HTP is a close relative of the amino acid Tryptophan, which is found naturally in foods such as Turkey and Pumpkin seeds. It is a known anti-depressant and increases serotonin, a neurotransmitter, which positively affects mood. Consuming 5-HTP means your body can produce more serotonin and melatonin; helping you sleep deeper, helping your brain work faster, and positively re-balancing your mood. 5-HTP has been clinically studied and shown to be of benefit in the following conditions: primary fibromyalgia syndrome, Friedreich's ataxia, depression, anxiety, binge eating associated with obesity, and insomnia. The active component is called Hypericin, which has been extensively clinically studied. A recent report from the Cochrane Review states that St John's Wort is superior to placebo in patients with major depression, that St John's Wort is similarly effective as standard antidepressants and St John's Wort has far fewer side-effects than standard antidepressants. Women who take the contraceptive pill should not use supplements containing St John's Wort. 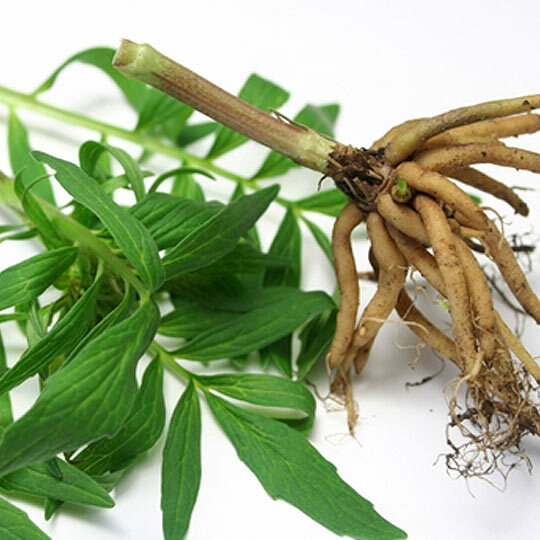 Valerian Root has traditionally been used as a sedative, anticonvulsant, migraine treatment and pain reliever, scientific studies have shown these effects to exist, although the precise mechanisms which cause these effects is not fully understood. Valerian Root acts as an "adaptogen" or balancing agent, meaning that it's effects depend on the symptoms a person is displaying. A study found valerian Root tends to sedate the agitated person and stimulate the fatigued person, bringing about a balancing effect on the system. Valerian Root has been used in ayurvedic medicine for many centuries and is considered to work on the nervous, digestive, and respiratory systems as a stimulant, antispasmodic, stomachic, sedative, analeptic, carminative, and nervine. Valerian Root is an excellent pre-bedtime relaxant and can help people with sleeping disorders or who are stressed or nervous.